Hey guys!! I am supposed to be focusing in class right now but I am so exhausted, I am taking a quick break to post this outfit. 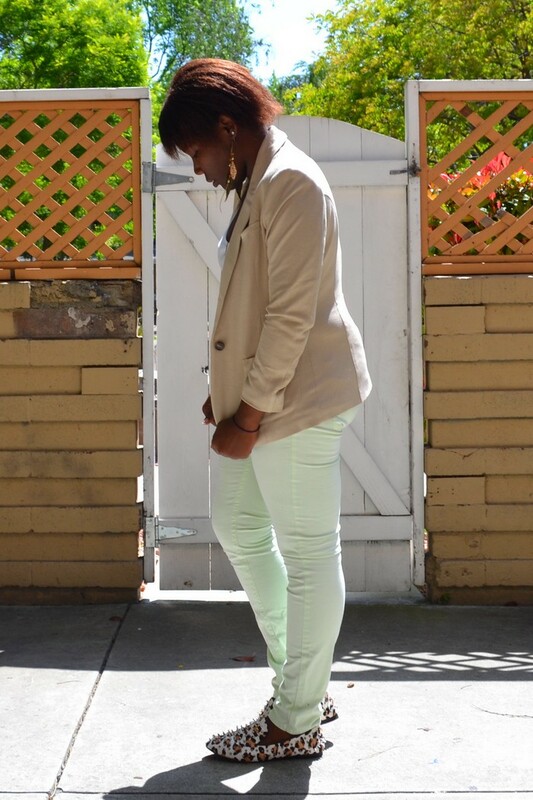 Still in this "I love this blazer I want to wear it everyday" mania lol so I paired it with my light green pants that I got not that long ago, and my leopard spiked loafers! Hope you like it! Une tenue bien fraiche! J'aime surtout avec la touche imprimé/clous ! Thank you Daniella, glad you love it! You did notice my hair color change :) Thank you love! 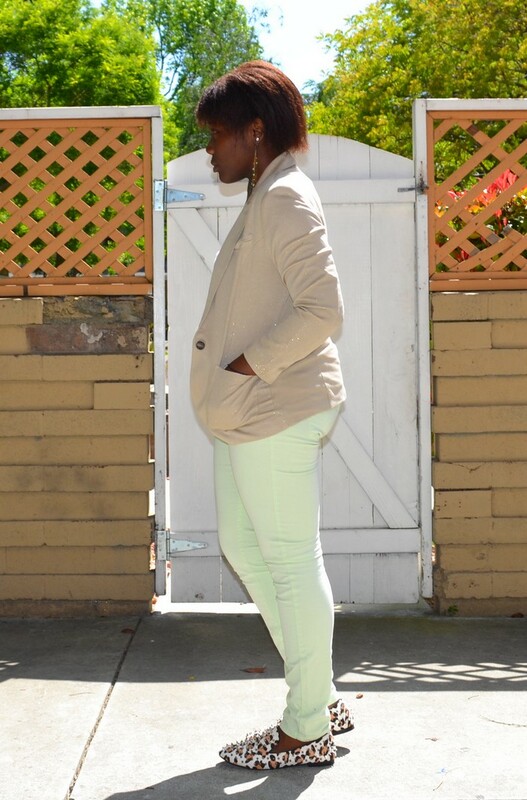 Love the shade of green of your denim and those studded leopard loafers are just fab! you look lovely. love the jeans. Tu es magnifique ces mocassins; et j'adore ce Pantalon! Cute look! Love the color of your jeans! i love your jeans! such a cute look! 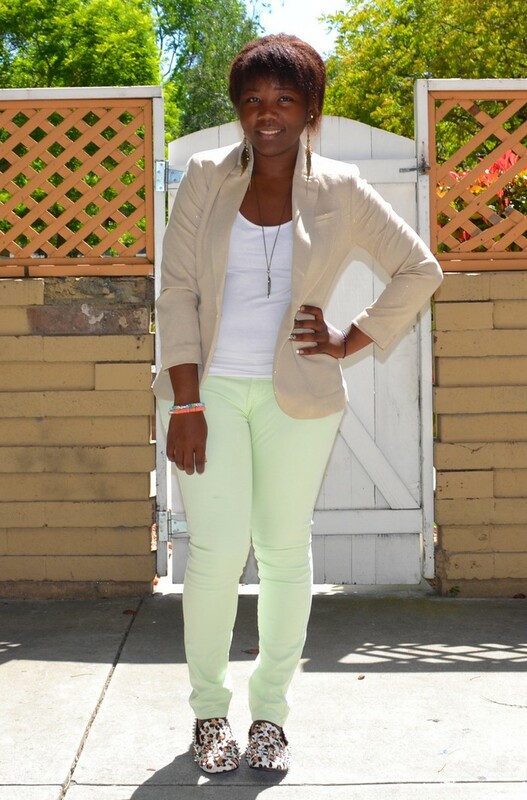 Love the blazer and pants! Such a cute color combination! light and summery! Love that pastell colours on you! Nice pictures!! I love it!!!! wow, you're shoes is so awesome! Looking gorgeous hun, love the mix of pastels and leopard so edgy chic. Oh wow! 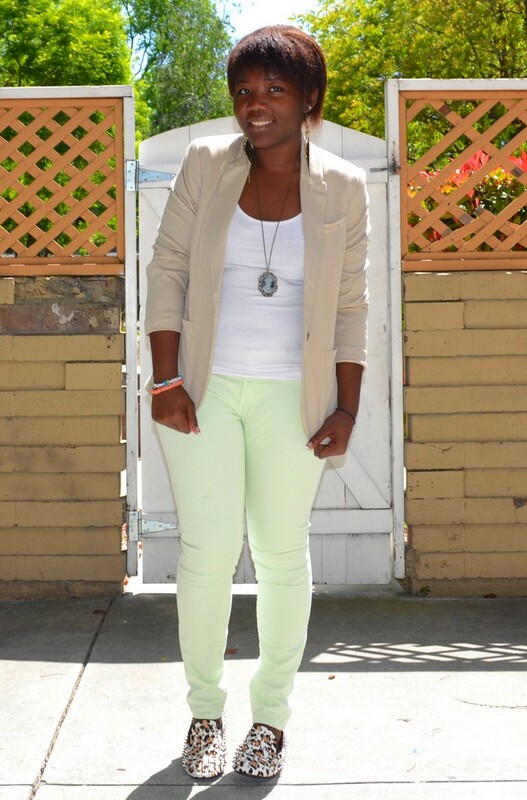 this outfit is super cute and so trendy!! Girl u have an amazing style!!!! 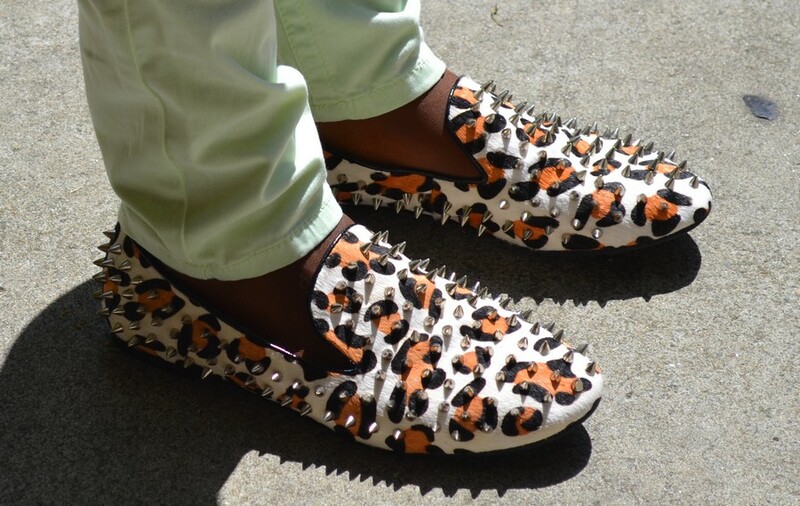 Ces chaussures sont tellement parfaites !